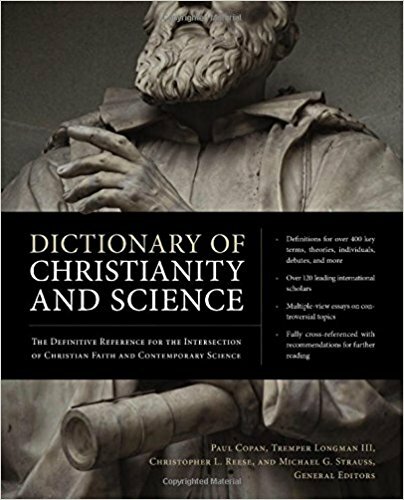 A Reformed Approach to Science and Scripture is largely a summary of the insights of the late theologian R.C. Sproul on the topic of the relationship between science and Christian faith. The author is Keith Mathison, professor of systematic theology at Reformation Bible College in Florida, and the book is available as a free Kindle book. Don’t let the zero-dollar price tag fool you; this is a great little e-book. It is common for young-Earth creationists to ask something like, “Are you going to believe God’s infallible Word or man’s fallible science?” There are many ways that an old-Earth Christian could respond to this false distinction between science and Christian faith. I usually respond by saying that I believe that all truth is God’s truth, and that if there appears to be a conflict between the Bible and science, then either we misunderstand God’s Word, God’s world, or both. It is common for postmodernists to question the concept of truth, but unfortunately, it is also common for Bible-believing Christians to do the same. These otherwise theologically-orthodox Christians fear that if we consider God’s revelation in creation to be infallible or authoritative, that this will somehow detract from the inerrancy and authority of Scripture. Mathison points to the teachings not only of Sproul, but of Augustine, Calvin, and Bavinck to show that “all truth is God’s truth” is an idea that is consistent both with the doctrine of biblical inerrancy and Reformed theology in general. We should not approach perceived conflicts between science and the Bible as “God’s infallible Word or man’s fallible science,” but in light of fallible human interpretations of both God’s infallible Word and God’s infallible creation. It is clear that fallible humans have misinterpreted both. Mathison explores this by reviewing the geocentrism vs. heliocentrism controversy of the 1500s and 1600s. Both Luther and Calvin viewed Copernicus’s heliocentrism as heretical. This chapter takes a closer look at the Copernican Revolution, and what we now recognize to be faulty biblical hermeneutics by the reformers. In this chapter, the author takes a closer look at how the fall into sin affected human reasoning. Human reasoning is affected by sin, but it is not totally ruined. This is especially true in regards to general revelation. Unbelievers will get some things wrong in their understanding of the creation, but this is true for believers as well, and is also true of believers when it comes to Biblical interpretation. Sproul, who leaned towards a young-Earth, stated that “the Bible does not give us a date of creation.” In light of this, Mathison warns us against creating false dilemmas in discussions about origins. As an example, Mathison writes, “I have also encountered Christians who have argued that any believer who is convinced that the universe is billions of years old should abandon Christianity because it would mean that the Bible is not true.” This false dichotomy is, unfortunately, common in the young-Earth movement, and it is very harmful both for discipleship and evangelism. When we teach our youth that if the Earth is millions of years old the Bible is a lie, we set them up for a fall. If we present this false dichotomy in evangelism to scientists or the scientifically-literate public, we place an unnecessary obstacle to Christian faith. It is significant that R.C. Sproul leaned towards the young-Earth interpretation of Genesis, yet was able ultimately to say “I don’t know.” Sproul maintained a charitable relationship with those he disagreed with, which is a loving, Christ-following example for those on all sides of the origins debates within the Church. The book is available in Kindle format from Amazon. The web site of the young-Earth creationist documentary Is Genesis History has listed “Six Books to Understand Genesis,” all written from a young-Earth perspective. As a counterweight, here are six old-Earth books written by highly-qualified, Bible-believing, inerrancy-affirming, theologically-conservative scholars. As old-Earth Christians, these academics believe in the truthfulness of Scripture just as much as any young-Earth creationist. The issue of the age of the Earth is certainly one of biblical interpretation, not of biblical authority. Genesis 1-4: A Linguistic, Literary, and Theological Commentary by C. John Collins. This mid-level introduction includes an outline of the analogical-days interpretation of Genesis 1. 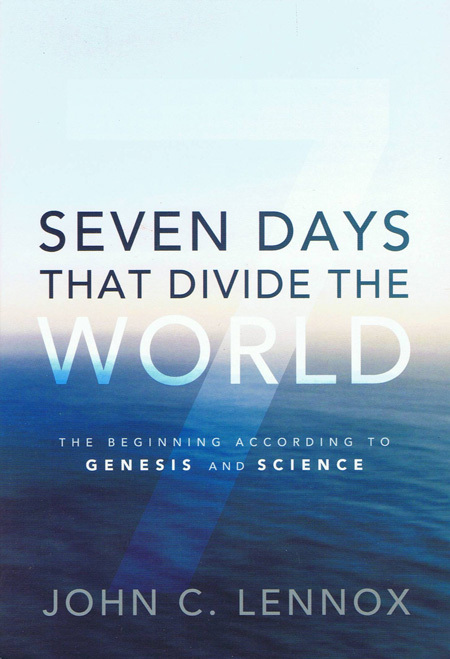 Seven Days that Divide the World: The Beginning According to Genesis and Science by John Lennox. This is the book on the interpretation of Genesis that I recommend most often, because it is very good, and because it is short. Reading Genesis 1-2: An Evangelical Conversation, edited by J Daryl Charles. This gives a rather detailed introduction to various young-Earth and old-Earth interpretations. This is better and deeper than most of the “Three views on ______” books on the market. The ESV Study Bible. If someone believes that only “liberals” accept an ancient Earth, point them to this scholarly masterpiece. The notes on Genesis don’t “take sides” on the age of the Earth or the extent of Noah’s flood, but it is clear that the scholars don’t believe that Christians must accept the young-Earth interpretation. 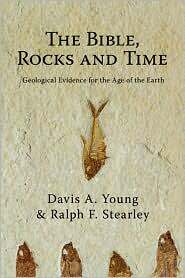 The Bible, Rocks and Time: Geological Evidence for the Age of the Earth by Davis Young and Ralph Stearley. This book gives a good summary of the historical development of the concept of an ancient Earth, and gives numerous reasons why young-Earth arguments about geologic time and flood geology simply do not work in the real world of geology. The Grand Canyon, Monument to an Ancient Earth: Can Noah’s Flood Explain the Grand Canyon? edited by Carol Hill and others. Most of the contributors to this volume are Christians; a few of them are not. Young-Earth creationists love to point to the Grand Canyon as something that only could have formed by catastrophism. The authors of this beautifully-illustrated book show why, once again, young-Earth flood geology simply does not work. Four out of my six recommendations look more at the biblical and theological side of the debate rather than the scientific side. It is my conviction that the Bible is at the heart of the matter; most young-Earth creationists will not listen to what we have to say about science until they become at least a little bit open to the biblical case for an old Earth. The two remaining books, reflecting my own background in geology, provide devastating critiques of young-Earth geological arguments. Young-Earth creationism is not biblically necessary, nor is it scientifically credible. To insist otherwise does harm in terms of Christian discipleship, apologetics, and evangelism. The ESV Study Bible is the most comprehensive, theologically conservative study Bible on the market. 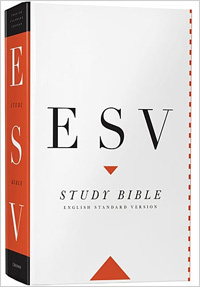 Whether you are looking for historical backgrounds, maps, various viewpoints, commentary, or help with difficult passages, the ESV Study Bible is an excellent tool. The ESV Study Bible offers a balanced view on origins issues, such as the age of the Earth or the extent of Noah’s flood. As such, this would be an excellent gift to give to your young-Earth creationist friend or family member. More than any other book, this one might help them to see that one can be a faithful Christian without being committed to the bad science and questionable Biblical interpretations of the young-Earth creationist movement. Amazon — available in many editions, ranging from a paperback for $19, to various leather-bound editions costing as much as $230. Crossway — buy direct from the publisher and they get a larger slice of the pie. 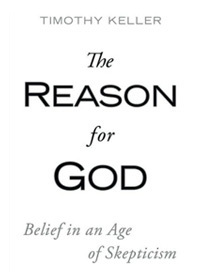 The Reason for God by Timothy Keller is the best book on apologetics (defense of the Christian faith) available for a general audience today. Some have said that The Reason for God is the 21st century’s equivalent of Mere Christianity by C.S. Lewis. That might be true. Like most leading Christian apologists, whether at the popular or higher levels, Keller does not include young-Earth creationism as part of his message. Why not? Because Keller recognizes that YEC is neither Biblically necessary nor scientifically feasible. 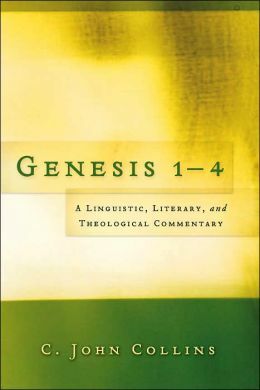 Genesis 1-4: A Linguistic, Literary, and Theological Commentary, by C. John Collins.An excellent commentary on the opening chapters of Genesis by a respected Old Testament scholar who holds to Biblical inerrancy. Collins is a leading advocate of the “analogical days” interpretation of Genesis 1. This book might be a difficult read for some, but most should be able to grasp the concepts with some work. Knowledge of Hebrew is not required. I wish he would write a commentary extending this work through Genesis 11. Seven Days That Divide the World: The Beginning According to Genesis and Science, by John Lennox, is a short book but is packed with good stuff. This is the book I would give to someone who wants an overview of origins issues and how they relate to the Bible. The Bible, Rocks and Time, by Davis Young and Ralph Stearley, gives an overview of the historical development of Christian views on geology and time, and an in depth look at why geologists (including most Christian geologists) believe the Earth is billions of years old. Pollution and the Death of Man may be Francis Schaeffer’s most neglected work. Evangelicals love his other books, but have ignored Schaeffer’s warning that the ecological problems facing our society are real, and that Christians have been and continue to be part of the problem rather than part of the solution. But he also makes a strong case that Christian theology can provide a stronger foundation for care for our environment than either pantheism or secularism. If you read only one book on why Christians should care about nature, this should be it. I have written a review here. 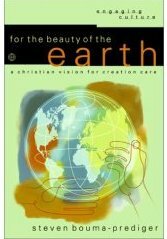 For the Beauty of the Earth by Steven Prediger-Bouma provides a comprehensive “Christian vision for creation care.” Rather than being a book on “how to be green,” this book faces a number of Biblical and theological problems head on, laying a strong Biblical foundation for creation care. I have written a summary of the first edition of the book here. 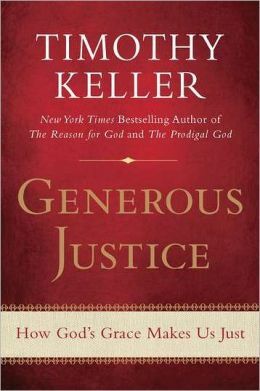 I’ve read a number of books on “social justice” (because I want a world where the poor, widows, orphans, and immigrants matter), but Generous Justice by Timothy Keller is the best by far. It calls us to serve, but doesn’t confuse serving with the gospel. It has plenty to make both political conservatives and liberals uncomfortable.